Upgrading a digital sign is a winning move for many businesses. For Johnson City Honda in Tennessee, their recent upgrade didn’t just benefit their thriving dealership; it is also having a positive effect on some furry, four-legged members of their community. 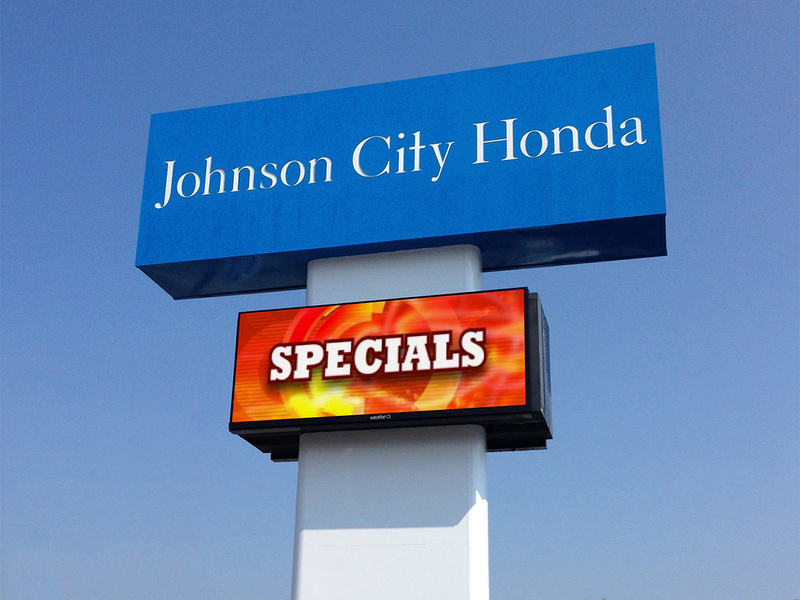 Snyder Signs in Johnson City has been selling our products since 1981, and leasing LED signs manufactured by Watchfire to Johnson City Honda since 2002. When it came time for the Honda dealership to upgrade to a newer 12mm electronic message center, Rod Snyder, president of Snyder Signs, and Joe Trujillo, owner of Johnson City Honda, wanted to find a new purpose for the sign that was being replaced. The “old” sign, a 16mm, 4’ x 10’, had been installed in 2011 and was in perfect working condition. 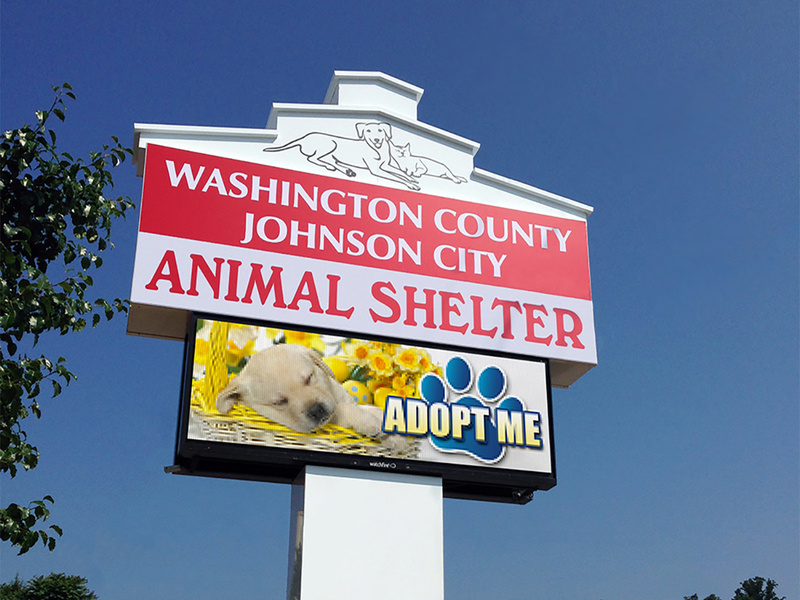 Through the generous donation of Johnson City Honda and Snyder Signs, that 16mm sign will now promote the Washington County/Johnson City Animal Shelter at their new facility located on one of the county’s main road. Their current sign is just the name of the shelter with an arrow pointing toward the building. Prior to this donation, the shelter had no plans, or money budgeted, for a new sign. The spacious new facility opens on June 27, 2015, but they have already noticed an increased interest in their services, just from the publicity surrounding the new sign and shelter location. Joy Sexton, assistant director at the animal shelter will program content on the sign and is excited about its capabilities. “We plan to use the new sign to promote pictures of animals for adoption or lost animals, remind people about our new location and advertise our events,” says Sexton, “This will be an important tool to share information with public.” The sign will also display messages that are compatible with the shelter’s mission, like reminding the community about the importance of spaying and neutering their pets. Snyder Signs chooses to support one project each year that invests in the local community. Snyder believes in giving back to the community with the same level of quality that he puts into every sign he builds. In addition to the sign donation, Snyder Signs donated the labor to design and build a new sign for the animal shelter. They also moved and reinstalled the donated sign, at a total donation value of $60,000. Operations Manager Randy Holland was very instrumental in overseeing the entire project.